2018 was our most successful season yet and we plan on this next season to be even bigger. The market has an average of 65 vendors and hundreds of customers each week. Market customers have lots of variety to choose from including heirloom tomatoes, fruits and vegetables that are rarely, if ever, available from the grocery store. We also have lots of the staples such as potatoes, onions, tomatoes, squash, and beans in addition to pattypan squash, heirloom salad mix, amazing cut flower arrangements, local honey, herbal soaps, whole grain breads, jelly, jam and preserves. Customers can also take home many live garden, yard and culinary herb plants, not to mention the fresh squeezed lemonade that hits the spot on a hot day. 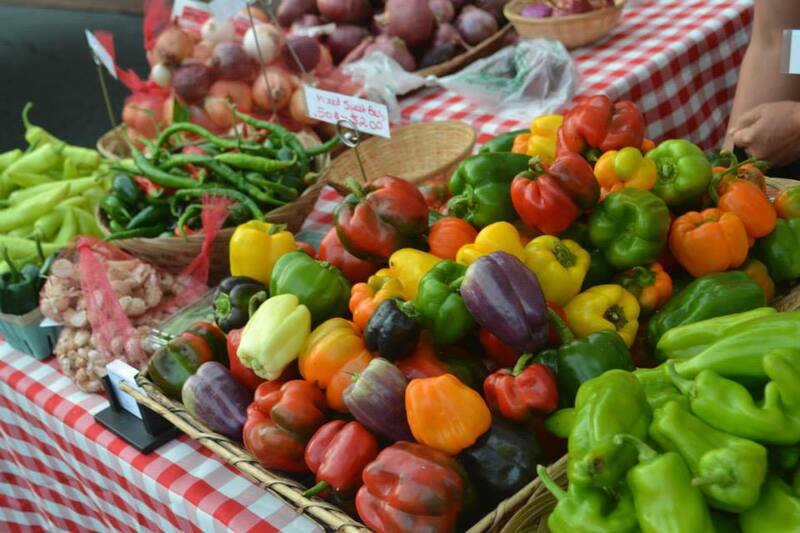 We were recently featured in an article, Marietta Square Farmers Market: Success in Consistency. If you're interested in Georgia State Homes, check out what they have to offer for Marietta, GA Real Estate. Our vendors are committed to producing the highest quality handmade goods. The objective of the Marietta Square Farmers Market is to support the development of the local agricultural economy which will foster stewardship of our land and goodwill in our community by: providing a place for farmers/growers to sell their goods directly to consumers, assisting business who sell food, farm and garden and kitchen related products which make use of locally grown ingredients gain entry into the local market and a place that will provide alternative shopping and bring together people from all walks of life from throughout our community. All products are grown or otherwise produced by the vendor. To apply, please read Rules and Regulations and submit application.